Daves class is fantastic! If you want a fun knowledgeable teacher who really truly cares about your child sign up! My son has been going for a few months, and he loves it. I like the fact that Dave has a great sense of humor and makes everyone laugh while teaching the kids how to defend themselves. His whole family is a part of what he does and they are just wonderful people. I visited about a month ago and was treated like family. The workout was much fun and the instruction was waaay good. Next time I come to Riverside I will visit again. I highly recommend Dave Hopkins! Dave is the best! I have been going here about eight years and am so glad to have Kung Fu in my life! I think everyone should take it! Not only does it teach you self defense but it also teaches discipline and comradery. Everyone is like a family here! Thanks Dave for bringing Kung Fu San Soo to Riverside! Dave Hopkins is the best instructor!! 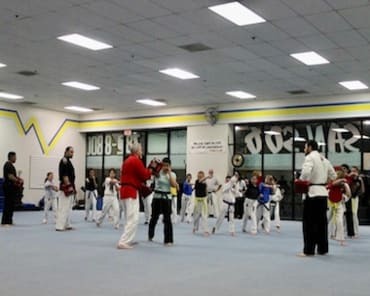 He is genuine, knowledgeable, and knows how to inspire his students of all ages to want to be their best, not only as a martial artists, but be their best in life. My kids learned how to defend themselves & gained confidence. 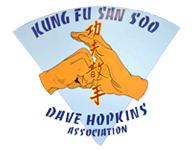 Check out Dave Hopkins Kung Fu San Soo if your looking for high quality instruction in an encouraging & family friendly environment. When I first started with Dave Hopkins, I knew this was going to be my new home. Dave is one of the most knowledgeable, personable and dedicated men that I have ever met. I started out weighing in at 265 pounds. I'm now 225 pounds after only 6 months of training. I feel great and my confidence as a fighter is tremendous. Thanks for everything Master Dave. Dave Hopkins is one of the best instructors around. His school provides a family friendly environment and a form of martial arts with real world applications. If you want to learn how to defend yourself and your family immediately with expert instruction, Dave Hopkins is the man to see! This place is the best ! I would recommend anybody here. All the instructors are caring, fun, amazing and real people ! Dave ties in life advice in his lessons and puts effort in getting to know the students on a deeper level. I head only able to go once a week while i lived in Riverside, yet i still learned so much. I moved far and can't make it anymore, but i am so grateful for their kindness and for everything they taught me.